This beautiful super-size hand-made soft toy Pugsley was designed and created by Keel Toys, one of the world's leading designers & manufacturers of soft toys and gifts. It is made from only the finest supersoft high quality polyester materials. 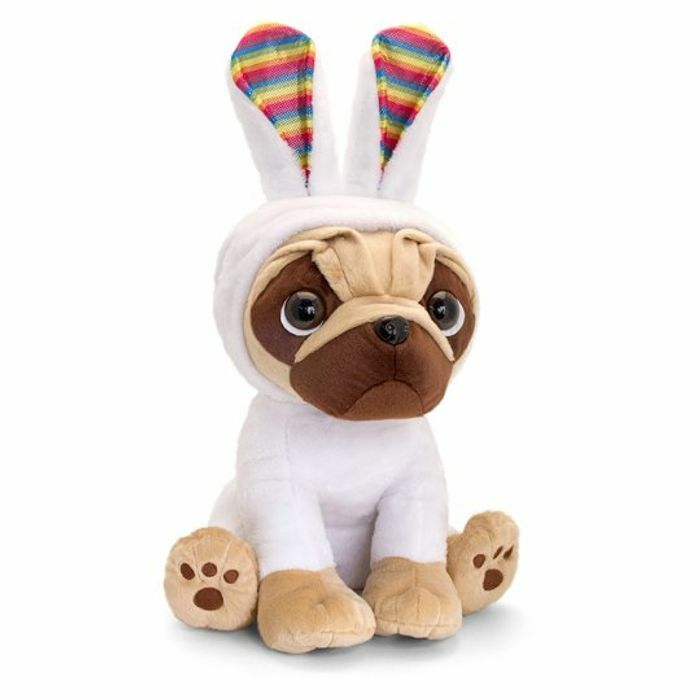 This super cute Pug is one of the year's most iconic characters and comes dressed in an adorable bunny onesie, sure to make a great gift for all ages!